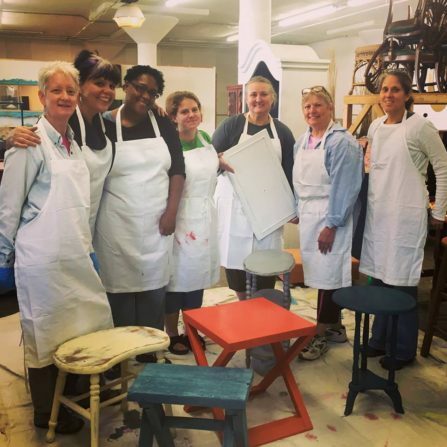 Want to learn to paint your furniture? Tanglewood Works has you covered. Come to this 3-hour DIY Class taught by Sue, Tanglewood Work’s own Senior Dumpster Diva! In this action-packed class, Sue will cover choosing and mixing paint, brush technique, basic distressing techniques and how to choose a sealant for your finished piece.